Everyone loves videos these days – We all do. It’s not uncommon to find even two-year-old kids today engrossed with our Smartphones, often giggling while watching a funny video clip. The point is: even your audience loves videos. If you run a small business online, I’m sure you know very well that videos are part of any lucrative SEO campaign. Still, using videos for your social media and SEO campaigns is not enough. You have to make sure you upload quality videos that will impress your audience. And so we do the hard job for you to find the best vlogging camera. That said, you can’t get anywhere with poor quality videos. If you upload low-quality videos to your YouTube Channel, your target audience will probably not subscribe to your channel, your videos will have fewer likes, and more dislikes, and even worse, you will get fewer views, which means it will be hard to achieve visibility in search engine results. The same goes for your blog and social media pages. You don’t want your audience to struggle when watching your content. Without engaging, impressive videos, you might as well shoot yourself in the foot – it will be hard to beat some of your competitors who have already leveraged on this tactic. That’s why if you are serious about boosting traffic to your blog or YouTube Channel you should invest in a superior Vlogging camera. With that being said, let’s find out the best camera for vlogging with our top 10 cameras for vlogging. Where will you be shooting your videos? 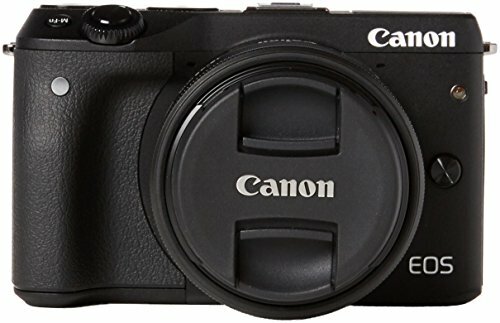 When you get the Canon Powershot G7 X Mark II, you will probably toss away your DSLR cameras for a while, if you have one – it’s one of the most compact cameras, yet it’s a beast when it comes to vlogging, even YouTubers love it. It’s packed with excellent built-in features and ergonomics; you will have no difficulty navigating its simple menu and settings. With its built-in features and horsepower, it can handle routine videography. It uses a 1.0 inch 20.1 MP CMOS Sensor, which realistically speaking cannot match the quality of some full frame or APS-C sensors. Despite its small size, the sensor captures electrifying images and videos. Even in indoor or outside during the night, you will be able to get videos with little noise. This means you can use high ISO to get decent videos with reduced noise. When you want to record inside a dim lit room, you will be alright with the G7X thanks to the DIGIC 7 image processor. This technology enhances its performance in low light, so have videos with little noise. When in video mode, its autofocus mode is not lightning fast, but it works seamlessly. The G7X features an optical zoom lens with a variable aperture, f/1.8 for bright wide-angle videos and f/2.8 for telephoto. Also, expect your videos to have a striking background defocus thanks to its 9-blade iris diaphragm and a multi-layer coating that minimizes flare and ghosting. Although it does not have a viewfinder, you will have no problem recording ultra-HD videos for your online campaigns with its flip-up LCD screen. This multi-angle screen makes it flexible to compose videos at different positions. However, if you are used to composing with the viewfinder, it may take some time before you get used to it. If it feels like you can’t leave without the viewfinder, you can try using your phone as the viewfinder when by pairing it with the G7X. The G7X allows its enthusiasts to record 1080p videos at 60 frames per second, and save the files in Mp4 format. Videos shot with the G7X are crisp clear and enriched with detail. The videos are on-point; you can upload them to Youtube or Instagram without editing the files with post-editing programs. Plus, you don’t get to capture videos that have a smooth color balance but also the clips have a stereo sound quality. If you are interested in time-lapse movies, the G7X will deliver. With its compact size and weight, it’s easy to carry it around. It’s not that tiny to go into your shirt or jeans pocket, but it will perfectly fit in a pocket of a cargo short or a small purse. Something else I loved about this camera is the rubber grip. Even if you have butter hands, it’s not easy to drop it. On the side, it has a Near Field Communication (NFC) button that makes it possible to share your videos directly to your Android device or computer via a WIFI connection. Even with a tiny body, this camera has an intelligent video stabiliser. Because of this feature, you can capture clear, steady videos – videos that are free from motion blur, and you don’t even have to use a tripod. Its image stabilizer is probably not 4 f-stops, like those pricey lenses, but it significantly compensates for the shake. As for its battery, you can’t film with it the entire day, but at least it can last several hours before you recharge it. Be sure to carry an extra battery if you will be out recording the entire day. Canon should put a mic or hot shoe in this one. It would be awesome if the G7X had a mic input. Still, for its price, you are getting a compact and ultra-portable camera that comes packed with excellent built-in capabilities. This camera makes one of the best vlogging camera for starters. The LX10 is one of the best point and shoot cameras out there with the capability to record 4k video quality. It’s small-sized, way smaller than DSRL cameras on the market but it has so many controls, you will probably never use some. Some people can’t seem to decide between this camera and the Sony RX100. Where does the LX10 shine? Compared to the RX100 or the Canon G7X, this camera’s lens has a wider aperture of f/1.4. Even some entry-level DSLR kit lenses lack this premium feature. This camera is amazingly lightweight because it only weighs 0.68 pounds. Also, it compact with dimensions of 2.4 x 4.1 x 1.7 inches. When you hold it with your hands at shooting level, it feels comfortable. It’s not that small not fit in your pants pocket unless we are talking about a cargo short or jacket pocket. If you wish to fit in your pocket, you will have to remove its retractable lens its lens. Because it does not have a rubberized grip like that of G7X, it can easily slip through hands if you are not careful. Its lens is non-interchangeable, so you can’t switch it with another. On the bright side, the lens performs insanely, given the camera’s price. Out there, don’t be surprised to find some lenses whose price surpasses that of the camera. Still, as a video blogger, the quality of glass on this camera is worth some praise because it has a good focal length, 24-72mm lens. It produces sharp, clear videos when shooting at the widest focal length of 24mm while the aperture is set at f/1.4. While it has a fast lens, we can’t say the same about its autofocus. Its focusing mechanism can be unreliable at times. However, if you can learn to use its manual focus, you will be safe. The LX10 uses a 1.0 inch, 20 Megapixel 4k Sensor, which when combined with a fast f1.4-2.8 Leica lens and a high ISO number (12800), can take your film recording and photo shooting to another level. Although small, its sensor lets in more light when in low light environments; because of this reason, it can capture videos with less noise in the dark, without the need to turn on the flash. So, videos captured in an indoor scene or outside during the night have fewer grains. With a maximum shutter speed of 1/4000 of a second, you can be sure you will never miss a shot, even if your target is on the move. Also, you will enjoy high-speed focusing when filming thanks to the Depth from Defocus (DFD) AF feature. Your hands could be shaky when recording a video, but this camera will still be able to follow your subject and keep it in focus. Just like the G7X, this camera does not have a built-in viewfinder. However, its touch-screen LCD monitor with approximately 1040K-dot will enable you to compose ultra clear videos in 4K quality. The LCD is 3.0 inches in size, and it can flip up and down for extreme angle shots. Apart from 4k, you can as well record videos in 1080p at 60 fps and 720p at 120fps. You could record live shows of Videos, such as Rock and Reggae concerts, in a friendly Mp4 format or AVCHD, and a single clip can have a running time of about 30 minutes. Plus, the videos are super sharp in detail. Because it can record at higher frame rates, it is possible to make super slow motion videos. So, as a vlogger, you can make your videos move creative. Then, you also have the option of to create time-lapse videos. Don’t forget it has an image stabilizer mechanism to alleviate motion blur when shooting using manual mode. Its battery life is just like that of G7x that lasts about 265 shots. The LX10 shines when recording videos in low-light backgrounds, and its ability to record stunning 4k videos. While it has its flaws, if we could think of this unit’s performance ratio and price, it has nailed it. The LX10 is the best compact vlogging camera for 4k quality. 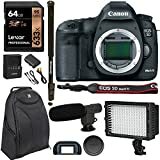 The Canon 5D Mark III is a full frame camera that comes with a 22MP CMOS sensor, and it’s an improvement version of its predecessor, the 5D Mark II. Now, the Mark III is the real definition of speed and quality. I mean, this newer model offers an advanced user experience. For starters, it provides extra frames per second, which is perfect for movie makers. When recording videos, you can make your videos have a stunning slow motion. It has many controls; you may have to go through its user manual to navigate its menus well. Also, the 5D3 has one of the most sophisticated but superior Auto Focus mechanisms. Its autofocus is blazing fast, accurate and consistent. Plus, you can customize this mechanism in several ways. Unlike the LX10 whose focus may hunt a little – it’s not the case with the 5D Mark III – its AF does not jitter, and it instantly locks on whatever you want to focus on. In fact, other lenses, in particular, prime lenses, combine well with 5D III. For instance, when I fixed a 24mm f/1.4 lens on the 5D III body, I could focus on a dog’s nose using ISO 4000 at a shutter speed of 1/40 of a second. Still, even with its native lens, the EF 24-70mm f/4L, you will be alright. When you hold the 5D III with your hands, it feels rigid. The camera is not only contoured to fit on your palms but also o surface it’s rubberized to provide a secure and comfortable grip. 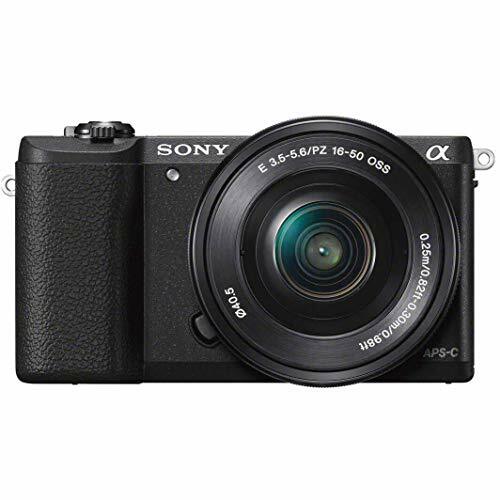 Compared to our compact cameras, we can’t say it’s lightweight and compact because it weighs 2.09 pounds and its dimensions are 2.99 x 5.98 x 4.57 inches. The Mark III also shines when you compare its screen size to most Vlogs camera out there. You will no trouble reading info on its big, clear viewfinder, a different experience from using a cropped sensor. On top of that, its 3.2 inches LCD is just dead gorgeous; it’s like using a screen from a high-priced Smartphone. Something else that impressed me, and I bet it will impress you as well, is that you can you can reprogram its buttons to simplify your work when recording your videos. Say you are recording a still subject, which is in one-shot mode, but then your subject begins to move. Instead of moving your hand to change to AI Servo mode, you could reprogram its DOF preview button, so that all you have to do when you are in one-shot mode is tap the DOF preview button to get into AI Servo mode. Also, it has an expansive ISO range with base ISO being 100 and 25600 on the max, which is expandable to 102,800. The videos you get in this range are detailed with fine grain. However as the ISO increases past 25,600, the noise in videos also increase. This is evident when shooting at ISO 51,200. Although there are compact cameras with 4k video capability, the fact that the 5DIII delivers 1080p videos should not make you shy away. With this camera, you can capture rapidly-unfolding scenes or bewitching cinematic movies. You love the sharpness and colors of its videos, plus it comes with extra shooting modes to enhance your video creativity. You can record High Dynamic Range movies in 60fps and 30fps, and even create videos in Multiple Exposure mode. As if that’s not enough, it has a built-in cleaner that vibrates to remove dust when you turn it on/off. Also, it’s integrated with a light metering system to help you control the exposure with less trouble. Its exposure metering is better than the one in 5DII. While it uses dual memory card slots for additional storage, be careful which card you insert because some memory card can make the AF slow. At least, its battery is fairly better than our compact cameras because it can last up to 950 shots. It may take some time before you learn to shoot with the 5D3 correctly but once you, you’ll be unstoppable. I wish Canon could add an image stabilizer and perhaps make it a 4K. Although it doesn’t have an IBS or 4k video, the 5D3 will deliver Ultra HD videos, and perform superbly in low light. It’s worth the price it goes for considering it has a variety of options when it comes to autofocus, shooting modes, and aperture speeds. The 5D Mark III makes the best vlogging camera for all purposes. 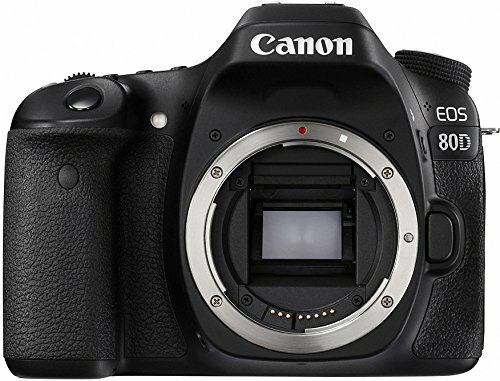 The Canon 80D is the next generation model after the 70D. 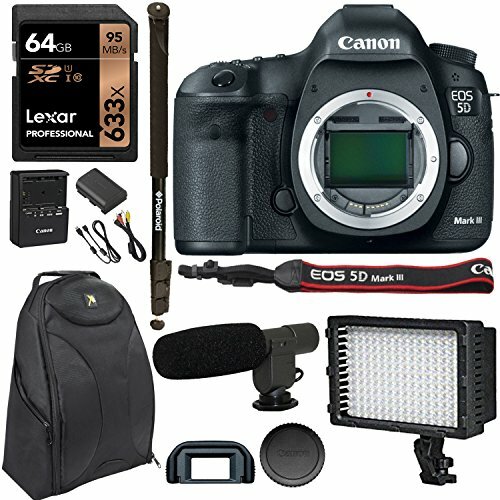 Straight out of the box, the Canon 80D is comfortable to use because all the buttons you need when composing your video are well-placed, and it has a roughened texture for a firm grip, not to mention its rigid body. For a DSLR camera, the Canon 80D has fantastic build quality and size. It’s way lighter than some lenses out there because it only weighs 1.4 pounds and measures 4.14 x 5.47 x 3.09 inches. Being an interchangeable lens system, it’s compatible with various Canon lenses and EF-S lenses. As you already know, a fast, precise and smooth autofocus is useful when shooting a premium quality video. The 80D is equipped with a stellar autofocus for this purpose. Its Dual Pixel AF system makes a huge difference because it will continuously track your subject when in movie mode. Also, it has face tracking system that works fine. Although the 80D has a flash, it isn’t a must to use it when in a low-light environment. This camera has a wide ISO range, and it’s designed with features to enhance its performance in low-light conditions. Its 24.2 Megapixel (APS-C) CMOS sensor will enable you to capture impressive, HD videos at ISO 12800, which can be extended all the way to 25,600. To enhance the video quality in places where lighting is a challenge, it uses DIGIC 6 Image Processor, a technology that helps to make the videos clear and noiseless. This means when using ISO 12800 when in a dark place, you can capture low noise, high-resolution films. Also, it has an advanced metering sensor that allows for accurate exposure control. This metering sensor uses a color tracking technology to detect skin color and make the AF precise. You will get sharp, beautifully exposed videos in bright daylight or at dusk. Notably, its AF system can maintain focus when shooting at moving subjects, thanks to the Movie Servo AF tracking. On top of this, it includes digital zooming, manual volume recording control, and a headphone terminal. I loved the headphone jack that’s useful when you want to monitor your audio – not many DSLR’s cameras have this feature. It has a bright viewfinder that will enable you to compose and capture scenes exactly as you see them through the viewfinder. Then, its 3.0 inches touch-screen monitor displays fine detail when you compose or review images with it. Its LCD screen is intuitive. For instance, a simple tap on its intuitive screen will enable you to pull focus quickly. Also, because its monitor can rotate, it’s flexible to compose videos in a variety of angles and position. This is a significant advantage to vloggers because you can shoot from different vantage points. Apart from the ordinary viewfinder and LCD, it has an additional LCD screen on the upper side that shows more shooting info. When it comes to resolution, although it produces fine detail videos, it’s still lagging behind, considering they are cameras that offer 4k-quality. Still, 1080P is the closest you can get to 4K with this camera. You can record either 60 fps movies or HDR movies, in both mp4 and H.264 formats. Don’t forget you can create time-lapse movies with the 80D if you want to. You can use its built-in NFC and Wi-Fi capability to quickly share videos with your Android devices or the CS100 device or directly upload them online. Its Canon Connect App will enable you to control the camera using your phone remotely. Lastly, in case you find yourself in extremely dark places, it has a mic input that you can also use to attach a small light attachment. Its battery is way improved compared to the previous model – It can last to capture around 1500 shots. Although it lacks 4k video quality, the Canon 80D brings with it other advanced specs and functions for only a little above $1,000; it’s well worth that value. The Canon EOS Rebel T7i is yet another DSLR camera that stirs excitement in video bloggers. For a first time user, you may think it’s big, but it’s small and light, measuring 3.9 x 5.0 x 3 and weighing 1.18 pounds. That means it will be easier to take the T7i with to most places you go, a huge benefit if you are a beginner or intermediate vlogger. I got the chance to use the t7i sometime back, and there is nothing complicated about it. Its buttons are well placed and easy to find during video shooting. Just start to record videos at a press of a button. With a 24.2 MP sensor, the T7i guarantees that every shot you take is characterized by detail, vibrancy and has brilliant color. 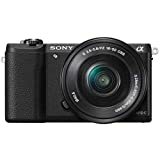 It uses Dual Pixel CMOS AF technology with phase detection feature will quickly and accurately focus on your subject, even when they are on the move. This hybrid AF works seamlessly you don’t need manual focusing. It’s amazingly quick once you press its shutter, you will not notice any lag at all when composing your videos. Its optical viewfinder locks on the subject without delay thanks to this fast, consistent AF system. If you want to focus on the subject, all you have to do is tap its touch screen where you want it to focus. The servo AF feature is yet another feature that makes it a breeze to shoot movies with the T7i because it will enable you to follow a moving subject while adjusting the focus. No doubt you will love these features, it’s a good thing Canon included it in an affordable camera. Because it has an outstanding ISO range, the maximum ISO being 25600, it’s possible to capture less blurred videos in low-light with the EOS Rebel T7i. Imagine shooting up to ISO 6400 before you start noticing any noise in your videos. Also, it’s equipped with the DIGIC 7 Image Processor that enhances the video quality when in low-light situations. With this feature, you can shoot sensational videos in almost any light condition – sharp and detailed videos. When looking through its bright optical viewfinder, you will be able to see the scene exactly as the lens projects it. As for its LCD screen, it’s fun to use it because of the incredibly responsive touchscreen. Its LCD screen is well-designed with a smudge-resistant coating to minimize reflections. This Touch-Screen can be rotated and its 3.0 inches in size. Even though its video quality is not 4k, it has a splendid video resolution. As a beginner or intermediate cinematographer, I don’t think you will mind recording 1080p videos at 60 frames per second. This means you can give your videos a slow-motion effect. Also, the Canon Rebel T7i compensates for those shaky moments with its Movie Electronic IS6 image stabilizer. A shaky video can be hard to watch. However, with this camera, it’s possible to capture smooth Full HD clips, free from motion blur that’s caused by camera shake. Also, if making HDR movies is your thing, the Canon Rebel T7i got you covered. You will be able to capture vibrant and naturally colored dynamic scenes at 60fps and 30 fps. Also, it gives you the option of creating Time-Lapse and slow-motion videos. For those instances you want to make your video more creative, it offers different video filters to enhance your video quality. Lastly, it comes with a built-in WI-FI, NFC, and Bluetooth connectivity. Lucky for you, you don’t have to rob a jewelry store to get the T7i. It’s cheaper than the EOS 80D by a few bucks, and it’s less expensive than the 5D Mark III by at least $1,000. If you are just getting started with DSLR’s, this is probably the best match. 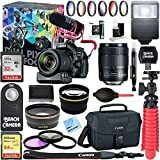 If you are professional videographer but you are having a hard time trying to find a full-frame camera that can record 4K videos, then your search is over. You can be sure the videos you will record with a7s will get more views/ratings because of the splendid 4k resolution. The Sony a7S II is truly a life saver, especially during those times you’ll want to film during early morning or in the evening. It excels when it comes to making low-light cinematography. It pairs a 12.2 MP full frame sensor with an advanced BIONZ X image processor to produce detailed, low-noise footage at high ISO numbers. You can shoot in extremely low-light situations, as low as EV-4. Its ISO ranges between 200 and 102400, which can be expanded to 409600. This means it brings in more light than other cameras. Perhaps you are wondering how a 12 MP Sensor is more powerful than 36.4 mp Sony a7r. Well, it’s because this camera is meant for videos while the other is designed for pictures. With its full frame sensor, you can record 4k movies in 35mm format. Apart from that, it gives you additional options for video recording: you can opt for 1920 x 1080/120p at 100 Mbps, or you can go for slow-motion footage, which can be in 5x 24p (12 Mbps) or 4x 30p at 16 mbps. Another awesome advantage of this camera is that you can interchange its lens to shoot at higher ISO in places where light is prohibited. With a premium lens, it’s like using a night vision device. Depending on the lens you attach, you could crank up its ISO, all the way to 200000, and still get a spectacular night vision. Although the autofocus on this camera is not as explosive as that of units with the Dual Pixel AF feature, you will enjoy a fast and precise focusing, mainly when there is sufficient lighting. Its shutter is mostly silent when shooting because of this camera uses a specific mechanism to reduce vibration, and it has a silent shooting mode that’s perfect for shooting movies. Unlike most DSLR cameras that have an optical viewfinder, this one uses an electronic viewfinder, an OLED True-Finder. Myself I was skeptical about this, and it came as a surprise to me when noticed that its viewfinder is bright and accurate. It’s more detailed and clear than the regular optical viewfinder. For those who love to hold the camera at eye-level instead of using the LCD screen, this is a big advantage. With its superior electronic viewfinder, you will be using it to compose your shots most of the time. Thanks to the 5-axis image stabilization mechanism, all your videos will be free from motion blur. This means, you can record videos even if your hands are shaky or even better, when walking. To easily share your files with compatible iOS and Android devices, the Wi-Fi function and the Near Field Communication (NFC) feature will come in handy. Another feature you may like is the PlayMemories Camera Apps that allows you to add new features to your camera. With this option, you can find apps to enhance your video shooting style, whether you want time-lapse videos or motion shots. Its battery does not last long compared to most top-tier DSLR cameras because it lasts around 950 shots, but you should have peace of mind if you get yourself a battery grip and some extra batteries. Also, because it can be paired with different lenses and converters, pick your lenses wisely – some lenses can make it feel like a monster when you hold it. 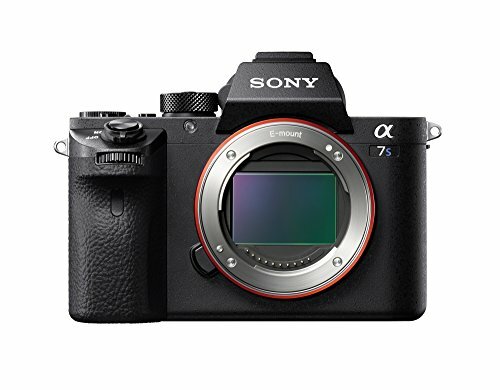 The a7S II is an expensive camera. If you don’t have the money, this one you may have to rob a small jewelry store to get it. Seriously though, if you still have doubts about this camera, you could first try renting it to see how it works for you. The a7S I is the best camera for vlogging, if you can afford it. The other mirrorless camera on the list is the GH5, which delivers fantastic 4K video. This camera has all the accessories you need to push your video shooting to the next level. Just like most expensive cameras on the market, the GH5 comes loaded with so many features, as a Vlogger, you will probably never use 90% of them. This camera shames so many cameras that fall in the same price range. 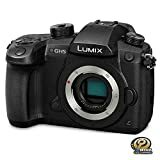 For those of you who yearn for 4K video but money seems to be the problem, the GH5 goes at an affordable price. You won’t find many cameras with that capability at that price. It’s just the right size for a vlogger looking for a portable, sturdy camera with a wide-angle lens. 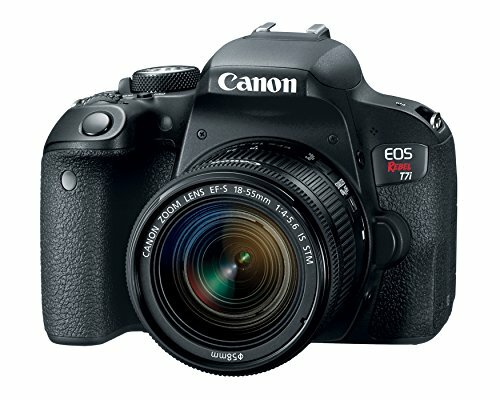 Its weight and size cannot compare to that of a DSLR camera because it’s not as heavy or big. Compared to the GH4, it’s heavier and larger; it weighs 3.3 pounds and measures 6x 8×6 inches. When it comes to the build quality, the Gh5 is solidly constructed. It’s built with sturdy Magnesium Alloy body with a roughened external covering to make it comfortable to hold it. Being a mirrorless camera, it uses an OLED viewfinder with 3680 dpi, and its swivel LCD screen, which is 3.2 inches and a touch-screen, has a resolution of 1620k dpi. With this combination, and a built-in in-body image stabilizer (IBIS), you can record eye-popping videos for your Youtube Channel. As for the autofocus, it is not as fast as models with the Dual Pixel, but it’s reliable because it locks on the subject without focus hunting. You even have the option to do focus tracking. Because the lens you fix this camera may affect its autofocus speed, pick a fast lens like the Panasonic 25mm f/1.4. Videos shots with the Panasonic GH5 are nothing but dazzling. As a video professional, this camera will truly blow your mind. The results are spectacular, particularly when you merge the camera with a high-quality lens like the Sigma 18-35mm F/1.8 lens. Also, you can combine it with a Panasonic Lumix Lens like the 12-35mm f2.8 zoom or the Lumix Leica 14-60mm (f2.8-4.0) lens. Unlike the a7s, the GH5 has a smaller sensor, but it’s powerful enough to make both dynamic range videos and low-noise videos. Of course, other cameras outshine the GH5 when shooting low-light and Dynamic Range videos but it is not that badly off considering it has a 20 MP sensor and no built-in flash. Still, it’s performance in low light is not that wonderful, especially past ISO1600. You can record 4K videos at 60 frames per second using speeds of 100 Mbps. Also, you can make 1080p videos at 180 fps. You can save the videos in the Mp4 or MOV format. Also, the GH5 can record 10 bit 4:2:2 videos, which is a plus if you plan to do Green Screen Photography or if you like, chroma key photography. The footage captured is sharp with a fantastic blur and bokeh. Even at night, it brings out phenomenal videos – It’s something you will fall in love with. Another advantage of this camera is that if you are a photographer, you will be able to capture great stills using the 4K videos you have already recorded. Apart from that, you have the option to create time-lapse and slow-motion videos. Although its storage can fit 30 minutes clips, don’t let the internal storage limit you because it has two memory card slots. Its battery is one of the best. It lasts longer than Sony’s battery, but it depletes faster than the one fitted in the GH4 body. That’s because this camera handles many processes. While this camera can be tough to learn how to shoot in 4K mode, once you get used to composing shots with it, you’ll be unstoppable. Although it’s not the smallest camera for vloggers, its video quality is more pronounced than its predecessor the GH4. It’s rare to find a camera this remarkable for less than $2,000. The a5100 is meant for the Vlogger who wants mindblowing videos at an affordable price, without the need to carry a bulky DSLR. So, if you are a beginner video creator, you will be alright with this because it’s one of the smallest on the market. Plus, you get the same image quality and advanced ergonomics that you only find in first-class cameras. What if you are a pro? As a professional, you will want a unit with more controls buttons. Even though it lacks many controls, you can configure almost everything using its menu. Not many DSLR’s can challenge the size and weight of this camera – It’s super compact and light, but it houses an APS-C sensor the size of most DSLRs cameras. This unit is only weighing 0.62 pounds and measures 2.3 x 1.42 x 4.33 inches in dimensions. Although a compact camera, it has a sturdy build and a firm grip. The Sony a5100 comes with a 16-50mm f/3.5-5.6 lens. The super lightweight camera can capture decent videos in low-light thanks to its 24MP APS-C Sensor and an extensive ISO range. It has a rather large sensor for a camera of its size. It’s not the greatest camera for low-light situations, but it will get you by. At ISO 800, you get eye-popping videos and the images although the images show some grain at ISO 3200. It uses a hybrid autofocus system with a variety of modes like face tracking, phase detection, and selective single-point. This mechanism is fast and on-point, it won’t let you down when tracking your subject. When panning across a room, it will focus on the subject, and then track it when on the move. This camera does not provide 4k or 720p videos. However, it can record cinematic videos in 1080/24p or capture fast action scenes in 1080/60p, at 60i. You can save your videos in Mp4, XAVC-S and AVCHD formats. To be honest, videos recorded in XAVC-S format are on another level. The image quality even surpasses that of most DSLRs, especially in low light. Unless your memory card fills up, you won’t want to switch to another mode. Approximately, you will get around 20 minutes of continuous video shooting with an option to create time-lapse videos. Because it does not have a viewfinder, you can only compose videos using its LCD, which can be problematic when shooting on a sunny day. However, because its 3-inches touch-screen can tilt, you can record videos from different angles. With its built-in Wi-Fi function and NFC technology, it’s easier to transfer files to other devices. Because it has HDMI port, videographers can share full frame 4:2:2 uncompressed videos to another screen, such as HDTV. Also, it’s easy to clean its sensor when dust builds up. Its lithium Ion battery can last several hours because the battery drains faster when shooting time-lapse videos because you to have to keep the LCD screen on. Perhaps, the major issue with this camera is that it lacks an image stabilization feature and a mic input. So, make sure fix a lens with OIS. Also, because it has fewer controls, it gets tedious when you want to adjust aperture, shutter and ISO settings. Considering the versatility of this camera, its price is a perfect balance. If you don’t have at least $1,000 in your wallet and you also don’t own a paint that you can auction, the price for this one is affordable. If you are a pro and you want to use it indoors, make you get an external recording device and a decent light kit. The M3 is yet another compact mirrorless that will compliment well with a DSLR if you have one. It is a camera designed for those who own around five different cameras and an array of lenses – I’m simply talking about the pros. You don’t become a pro by just owning a single body with its lens kits. Even pixel peepers will love it. The M3 can be alternative to a DSLR if you want an affordable, compact camera that won’t attract attention wherever you go. After all, you won’t always be carrying a DSLR wherever you go. Because it has a built-in mic, you can record videos that have audible sound quality on the go. Being a super compact camera with tiny buttons, you will enjoy walking around with it. 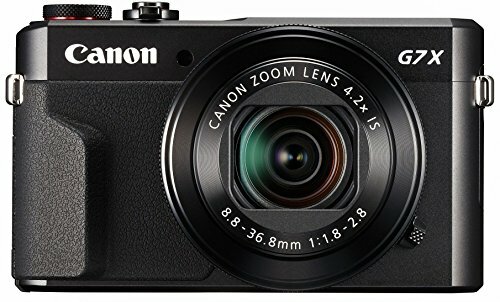 While it’s not a pocket-sized camera (measures 2.3 x 1.7 x 4.4 inches), it’s small and light (0.81 pounds) enough to fit in a small purse. Plus, when you lift it to compose your shot, it won’t slip through your hand because of its firm grip. If you need a compact travel camera that has a big sensor, this is it. With a 24.2 MP APS-C sensor, combined with the DIGIC 6 Image Processor, the M3 can create vibrant, low-light footages. Even at high ISO ranges, this camera has an exceptional performance. Particularly, this camera shines when you combine it with lenses such as f/2 22mm, although even with its native lens the video quality is simply stunning. An f22 mm lens is quick, and it produces detailed videos that have a pleasant bokeh. Although you don’t have a 4k option, you can choose between 1080/24p and 1080/30 movies, which you can save in Mp4 file format. Also, you get to select between two video exposure modes, including full auto and manual. 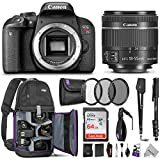 Its autofocus is accurate, and it stays focused, especially when using its kit lens although it may hunt a little when combined with some Canon EF lenses. In low-light situations, the Autofocus tends to struggle a bit, especially if your subject is far. That doesn’t mean it will let you down during your video shoots. The good thing is: once you get used to recording videos with it, that won’t matter. Another wonderful feature you may like is its Movie Servo mode, which you can use to track a moving subject. Remember it has no viewfinder, which is not a problem unless you are a serious vlogger. In that case, you can get an external viewfinder. Although it does not have viewfinder, its 3.0 inches LCD monitor that’s bright even in sunlight will allow you to record brilliant footages. Also, because the screen can rotate, it’s easier to compose videos at different angles. Other features that make the M3 stand out include an internal image stabilizer mechanism to alleviate motion blur; built-in Wi-Fi and NFC connectivity for direct sharing your images with other devices; and two separate dials, a front dial and EV dial to enable you to customize the aperture and shutter speed manually. Its battery life isn’t prolonged, and it will last several shots, about 350-400 shots. That can be disappointing to a vlogger, but it shouldn’t stress you because you can get spare batteries. You can do two things to extend its battery: either use ECO setting or do not use the continuous autofocus. The M3 is a unique camera with a video capability that can match a mid-priced DSLR. Of course, it has nothing on a top-rated DSLR camera, but given its compact size, price, and the fact that it has a mic input; it’s a fit option for any Vlogger. Finding such a combination is hard. To find the right video blog camera, you have to keep a couple of things in mind. It’s obvious you need a camera that can capture good quality video. So, I won’t bore you with the obvious, but you’ll want to know about some exciting features that will make your vlogging days more fun. As a vlogger, features like flash, zoom, and megapixels will not be much useful. So which factors should you focus on? By far, this is the most crucial aspect to think about when picking a camera for vlogging. Why is this important? Because there are times you may need to record footages at night, indoors, or during foggy days. If a camera has poor light-performance, expect it to produce images with noise, since it captures the video at reduced frames per second. Three critical factors affect how a camera behaves in low-light situations: lens aperture, the noise level at higher ISO and the sensor size. Aperture: If the lens of your camera has a wide aperture, it will allow more light to pass through. A wide aperture means you can add a blurred background effect to your videos. A smaller f-number (f-stops), means a wider the aperture, and vice versa. ISO number: As you increase the ISO number, the level of noise in your videos also increases. Unless you test the camera, or someone tells you about it, you won’t know about its ISO performance because it’s not included in the camera’s specifications. The ISO number represents the camera’s sensitivity to light. So, as the light reduces, the ISO tends to increase, but your videos are likely to have noise at higher ISO. Sensor size: Simply said, a camera with a big sensor captures a lot of light. Different cameras have different sensor sizes – when analyzing various cameras, compare their sensors’ size. The other critical factor as a vlogger is OIS. If your camera has this feature, you can record while on the move. Otherwise, if you go for a camera without this technology, you videos may have motion blur due to camera shake. If your videos have a blurred motion, your audience will have a hard time watching your content, if at all they will. You will come across some DSLRs and Mirrorless cameras without the image stabilizer mechanism, but that’s not a problem because they are designed to be used with other lenses. You can always attach a lens with IOS although doing this will cost you more. A rotating display is an additional benefit to a vlogger, though it’s not a must, it’s useful when you record without any help, you want to record yourself since you would have to hold the camera in a selfie mode. With a WiFi function, you don’t need cables to upload videos to Youtube or your blog. Luckily, most cameras come with this function. When people listen to your recordings, they will want to hear what you are saying audibly. Unfortunately, this is not a premium feature; you won’t find it in most compact cameras. The kind of content you want to create will mold your decision. If you need your content to have sharpness and vibrant colors, you are better off with a high-end DSLR. On the other hand, if mostly you will be shooting outside, get a point & shoot or mirrorless camera. It’s critical to ask yourself this question when searching the right camera. That’s because some camera’s come with heavy gear, which can be problematic to carry around. Because these accessories enhance your video quality, you can’t disregard them. 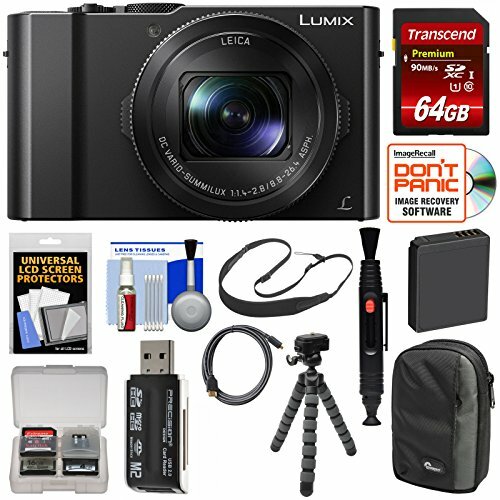 If you have to travel somewhere far to work on your vlog project, a compact camera will be easy to carry. The video quality won’t match that of a DSLR but if you want the best of both worlds; pick a mirrorless camera – they are portable, and the video quality is arguably spectacular. In contrast, DSRLS are heavy, and they have bulky bodies. You probably want a camera with a superb video quality; a video that can be viewed even if it was captured in low light. Such equipment, which also comes with other features like a tripod, extra batteries, and a microphone, isn’t cheap. To get one like this, you will have to cough out more bucks but consider it a wise move because sooner or later you may have to upgrade to an expensive camera if you are a serious vlogger. 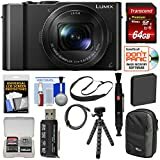 So, although there are low-priced vlogging cameras that work just fine, it’s better to set a higher budget, that is, if your pockets can allow you. Some cameras go for at least $200, but if it’s quality you want, you need at least $600 to own a high-end DSLR without a lens. Now that you have digested what you need to look for in a camera as a vlogger, let’s dive right into how different cameras compare. The camera market hardly changes because unless there are new technologies, inventions, etc. the products are likely to stay the same. That’s being said, we’re expecting few upgrade for each models every years. We’ll keep you update, so keep checking back for new information. You know your videos are 10/10 when your viewers start to compliment you, and some even begin to ask what equipment you used to capture those breathtaking clips. As you’ve seen, the camera’s we’ve reviewed all have their ups and downs. Depending on the content you want to create, where you will be shooting, and your budget, you can now narrow down to something that will work for you.